Will Programmable Thermostats Lower My Energy Bill? The recent movement towards programmable thermostats may initially seem like an unnecessary expense, although they are quickly becoming more and more common in homes and offices. Aside from being a tool for convenient climate control, a programmable thermostat also offers an array of other benefits to users, including long term energy savings in Greenville S.C. In fact, the money that you save from using a programmable thermostat for less than two years is enough to cover the cost of the thermostat itself! All savings beyond this amount just total extra money put back into your wallet. Along with saving up to 2% on your utility bill, programmable thermostats also offer the following benefits. Programmable thermostats reduce A/C and heat spikes by maintaining a consistent temperature and steady indoor climate. This creates a more comfortable environment in your home or office all day long. By maintaining a consistent indoor climate, programmable thermostats are able to increase your home’s energy efficiency by reducing the strain being placed on your HVAC system. This can not only save you money, but can also increase the life and efficiency of your entire system. Take advantage of the Greenville South Carolina weather by programming your thermostat around the sun’s peak hours. This will allow you to use more natural energy for heating, while giving your system a rest. If you would like assistance in assessing your heating and air conditioning options, General Air is fully equipped to provide accurate assessments and recommendations, with full-service technicians to meet your repair or replacement needs. Remember, it is important to get your unit checked as soon as you notice a problem, so do not hesitate to contact General Air of Greenville SC (link to contact page) to get your heating and air systems operating smoothly again in no time. 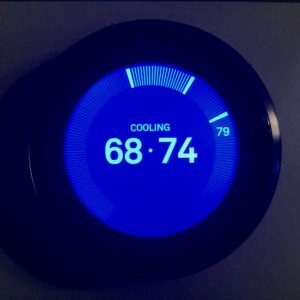 previous post: Is My AC Breaking? next post: What Do I Do If I Smell Gas in My Home?